Interested in purchasing a print for your home or office? While browsing the galleries you will see a shopping cart icon in the lower right corner of each photo when you hover your mouse pointer over the photo. To order with a credit card, just click on this icon to be brought to the shopping cart, where you can see the available print sizes and pricing. Your order is printed by Bay Photo, a professional print lab, and will be shipped directly to you from the lab. Customer service is handled through SmugMug, my website provider. Payment is safe and secure when ordering prints through my website. You may use any of the "Big 4" credit cards to pay for your order. 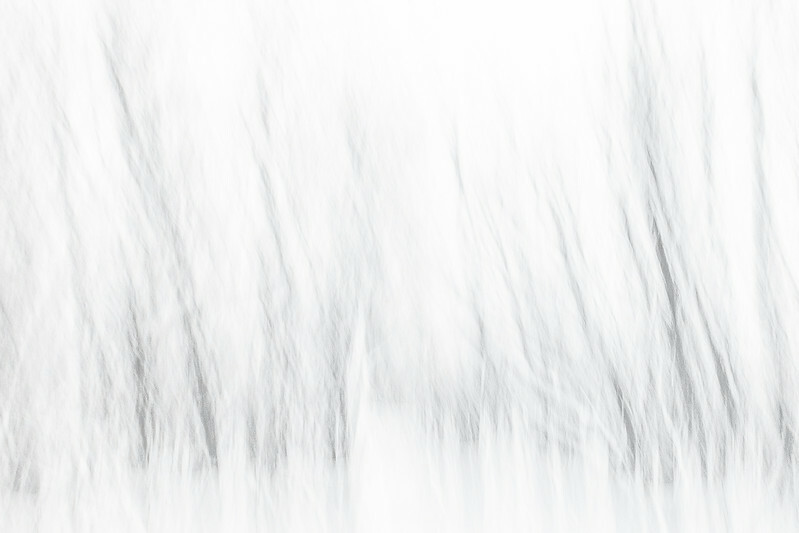 Open edition photographic prints are unsigned prints printed on Kodak Supra Endura paper. This paper has a beautiful lustre finish and provides accurate colors with realistic saturation. Print prices are for the print only, without matting or framing. 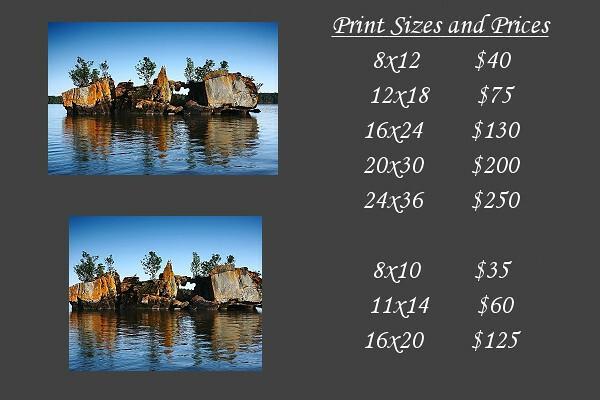 Some print sizes (8x10, 11x14, 16x20) require cropping of the original image. It is generally easier to find pre-made, inexpensive frames for these print sizes. For the full, un-cropped original image, order 8x12, 12x18, 16x24, 20x30 or 24x36 print sizes. These print sizes usually require custom framing, however they show the image as it was originally composed. *Note: Not all images are available in all sizes. Dyes are infused directly a specially-coated sheet of aluminum to create a print with incredible luminescence, detail and durability. The mid-gloss finish features high color intensity and excellent detail with reduced glare . My night images (northern lights, milky way galaxy, moonlight, lightning, etc.) 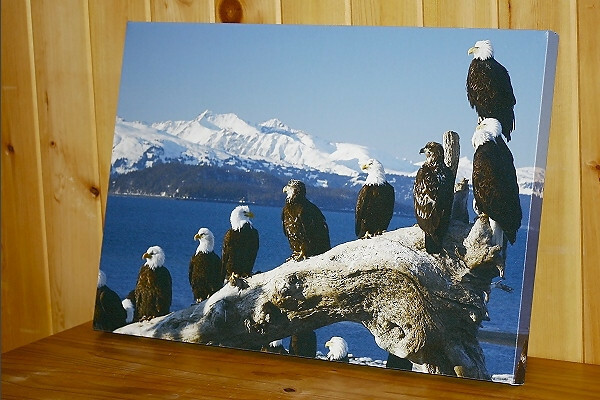 look especially stunning when printed on aluminum. These prints arrive ready to hang and do not require any framing. 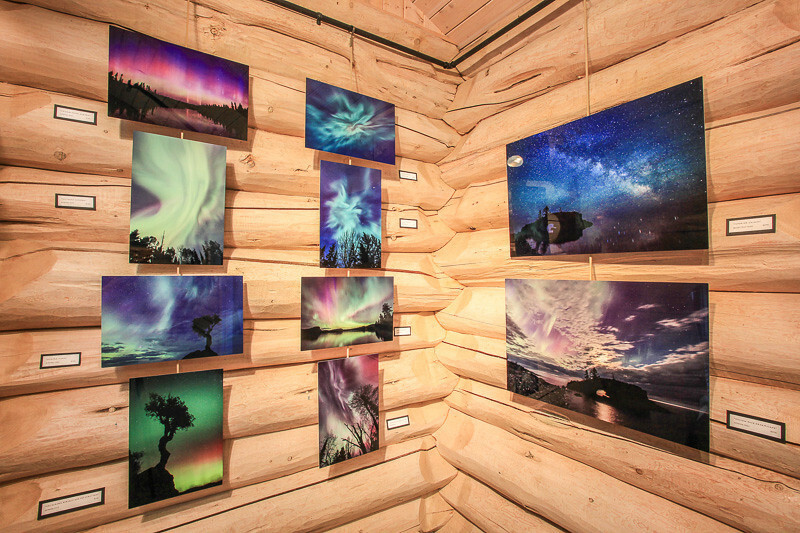 Each metal print is backed with a foam block and aluminum plate with drilled holes for easy hanging. When hung, these stunning prints will "float" off the wall. Caring for your metal print is very easy. To clean dust and smudges from the surface of your print, it is best to use a soft cleaning cloth similar to the cloths used to clean modern-day LCD TV screens along with some glass cleaner. Simply spray a little glass cleaner on the cloth then wipe the cloth across the surface of the print. Canvas gallery wraps are printed on premier art canvas substrate and wrapped around a wooden stretcher frame. They arrive as a finished product that is ready to hang in your home or office. No framing is necessary! My book "The Night Sky" is now available! This beautiful Large Format Landscape (13x11 inches) book is 150 pages and filled with over 100 high quality images of the night sky, accompanied by Travis' journal writings about his night time adventures over a 10 year period of time. Includes an Epilogue with tips on making photographs of the night sky. This book is NOT a mass-produced product. It is printed on demand and the price reflects that fact. Rest assured you are getting a quality product. The printing is beautiful and this will be a book that you can enjoy for years to come. It is available through the Blurb bookstore with two cover options: Hard Cover Image Wrap or Hard Cover with Dust Jacket. Price is $150. You can also view a full preview of the book at the above link.